Cinderella Project of Maine on WABI TV 5! Only 18 hours to go until our giveaway day and we’re pumped! Our giveaway space is all set up, thanks to the many volunteers who came out of the woodwork to lend us a hand. While they were busy at work holding down the fort, Mandie and Tabitha ventured to WABI TV 5 in Bangor. If you didn’t have a chance to catch the 12 o’clock news today, click the video still above to be taken to the video on Channel 5’s website. They were nice enough to let us take some behind the scenes pictures to share, so be sure to check those out below too! Just a reminder and to clarify, our project is open to ANY high school girl in all of Maine. 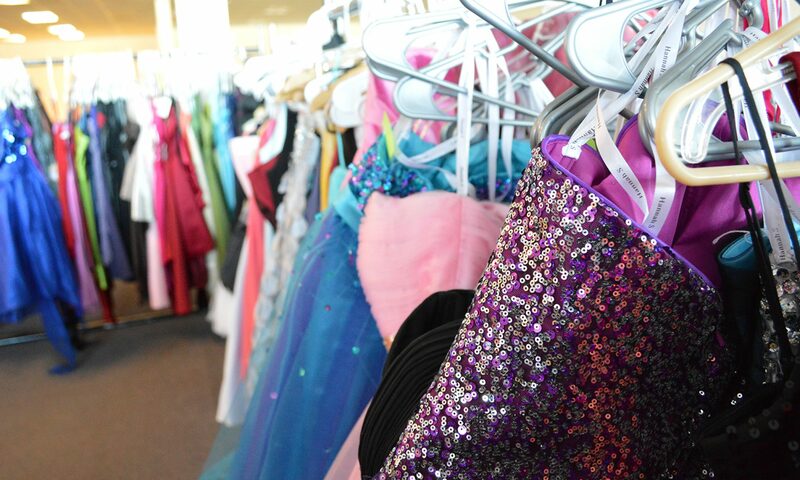 The “Cinderella for a Day” raffle is brand new and only open to Waldo County girls this year. Previous PostPrevious Two days ’til the giveaway day and we’re busy, busy, busy!